Image of the Day: The Virgo Cluster -Beyond Awe! 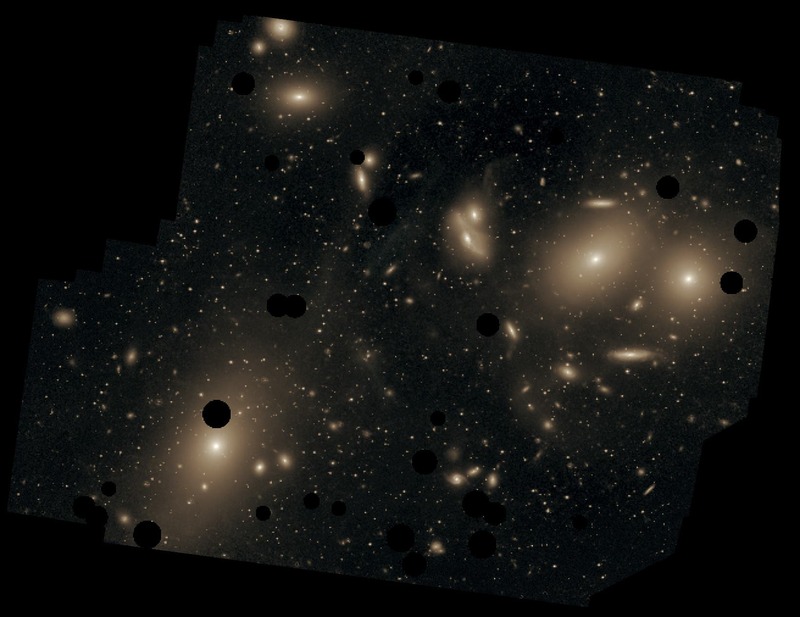 This deep image of the Virgo Cluster comprises approximately 1300 to 2000 member galaxies, forming the heart of the larger Local Supercluster, of which the Local Group is an outlying member.The image shows the diffuse light between the galaxies belonging to the cluster. North is up, east to the left. The dark spots indicate where bright foreground stars were removed from the image. The giant elliptical galaxy, Messier 87 is the largest galaxy in the picture (lower left). The cluster is a mixture of spirals and elliptical galaxies, which are more centrally concentrated than the spiral galaxies. The image below shows unusually large halos for the brightest galaxies as well as unusual faint streams of stars connecting Virgo galaxies that previously appeared unrelated. 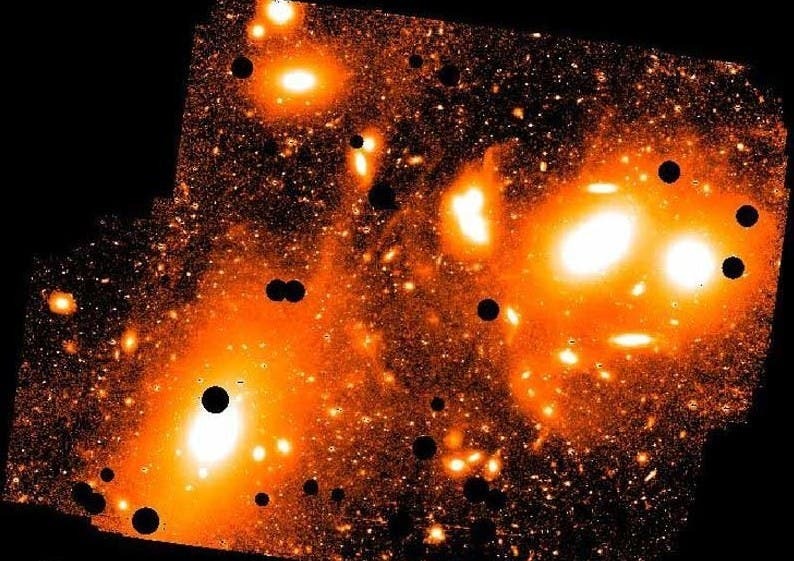 The image allows a better reconstruction of the past few billion years of the gigantic cluster and illuminates the dynamics of clusters of galaxies in general.